You will be able to know about Xiaomi Redmi Note 6 Pro now Official with Notch Display & Quad Cameras and affordable price. Today we are here with Detail guide on Xiaomi Redmi Note 6 Pro. After launching in several markets, Xiaomi brought the Redmi Note 6 Pro to the Indian market. Unlike in the other markets, the Redmi Note 6 Pro in India runs on the latest MIUI 10 out of the box. It is the successor to the most popular Redmi Note 5 Pro smartphone launched earlier this year. 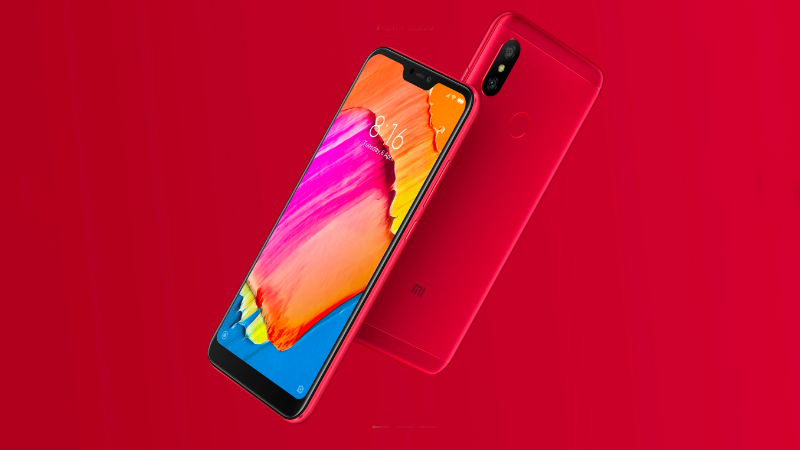 Xiaomi seems to be playing safe and has retained the same Qualcomm Snapdragon 636 processor. What is different now is that the Redmi Note 6 Pro gets a notched display and dual cameras on the front as well as the back. Can the new Redmi Note 6 Pro be as successful as the phone it replaces? We put it to the test to find out. Xiaomi Redmi Note 6 Pro smartphone to come powered by the 14nm Qualcomm Snapdragon 636 Mobile Platform. The device comes with 4GB/6GB of RAM and 64GB of internal storage. Note 6 Proa lso supports MicroSD card for further expansion of storage up to 256GB. Redmi Note 6 Pro sports a 6.26-inch IPS display with Full HD+ (2280 x 1080 pixels) resolution and 19:9 aspect ratio. About the cameras, there are 12MP + 5MP dual cameras on the rear and 20MP + 2MP dual cameras on the front. The 12MP primary sensor on the rear comes with f/1.9 aperture and 1.4μm pixel size. Note 6 Proi s backed by a 4,000mAh battery non-removable battery. Though the device is shipped with 5V/2A (10W) power adapter, it actually compatible with Quick Charge 3.0. The device comes with a rear-facing fingerprint sensor and also support face unlock. Connectivity options include 4G LTE, Wi-Fi, Bluetooth 5.0, GPS, IR Blaster, 3.5mm audio jack, and a MicroUSB 2.0 port. Note 6 Pro measures 157.9 x 76.4 x 8.26 mm and weighs 182 grams. The device comes in Black, Rose Gold, Blue, and Red color options. Coming to the pricing, the Redmi Note 6 Pro with 4GB of RAM(64GB of internal storage) and 6GB of RAM (64GB of internal storage) is priced at Rs 13,999 and Rs 15,999 respectively. Xiaomi Redmi Note 6 Pro now Official with Notch Display & Quad Cameras and affordable price. If you have any problem then ask in the comment box. We can solve your problem.